Open 11:30am-2, 5-10pm (LO; Sat, Sun -9pm) daily. 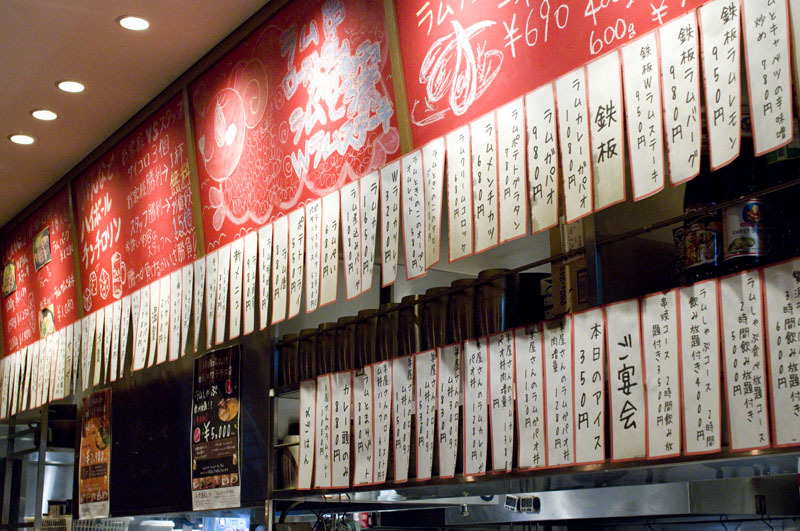 With the recent proliferation of meat bars in Tokyo, hyperspecialization is the next logical step. Here at 0,19 you can choose from dozens of lamb-based mains and starters, including grilled lamb steaks, lamb skewers, lamb-mushroom ajillo and lamb chops of the day. The casual atmosphere, inexpensive drinks and entertainingly diverse food menu are geared towards after-work parties and get-togethers with friends. 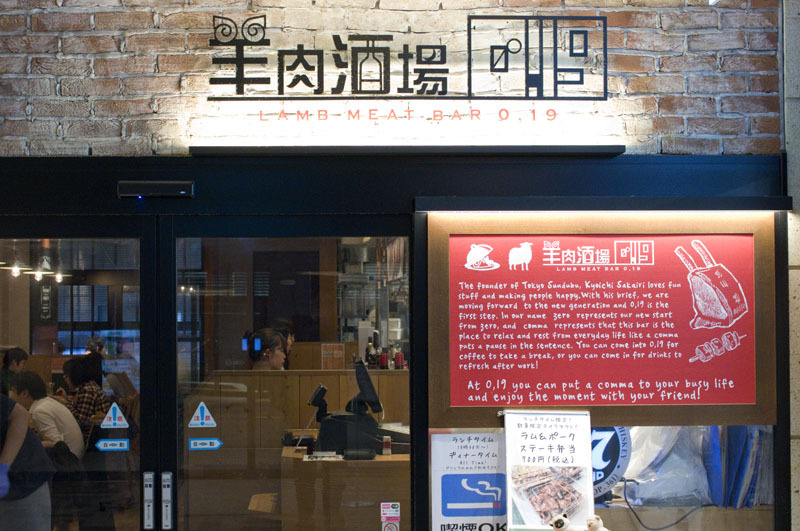 Unlike the Middle Eastern and Indian fare at other lamb restaurants in town, the influences here are split between East Asian and European cuisines. There's a spicy miso-cabbage lamb stir-fry representing China, Hamburg steaks from Japan, a lamb-curry gapao for Thai-food fans, and yukhoe from Korea. Many of the side dishes like bean-sprout namul and spicy chanja are also Korean style. 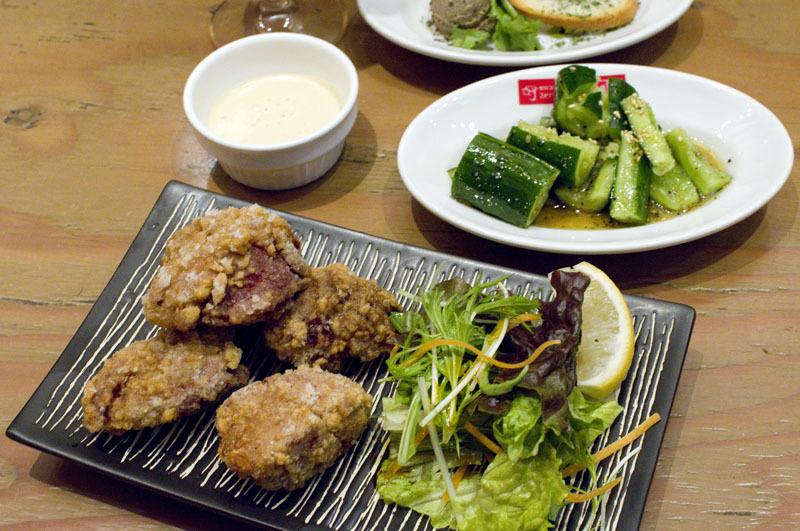 The deep-fried lamb (karaage) during a recent visit was pleasantly gamey in flavor and nicely complemented by a miso-mayonnaise dip. 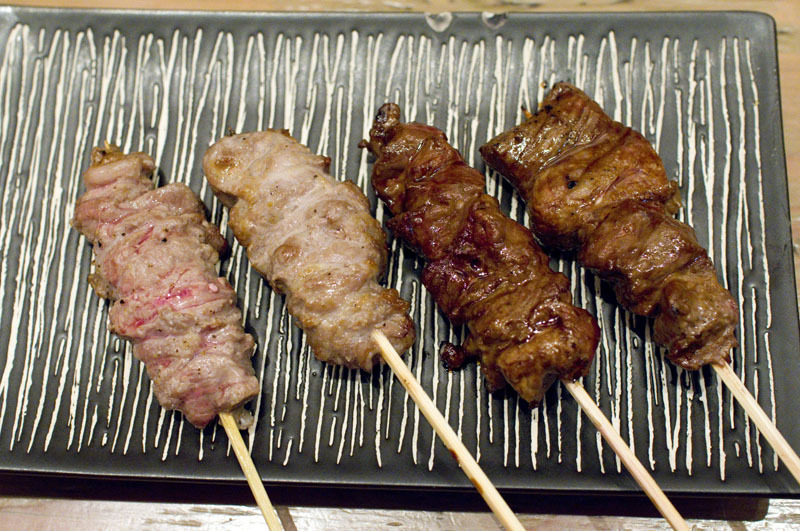 Charcoal-grilled lamb skewers were sufficiently fatty, although milder and not as spice-infused as more Middle-Eastern versions of this dish. A Korean-style cucumber tataki provided good balance for the meaty items. Wines are inexpensive, and various open-bar party plans are available. 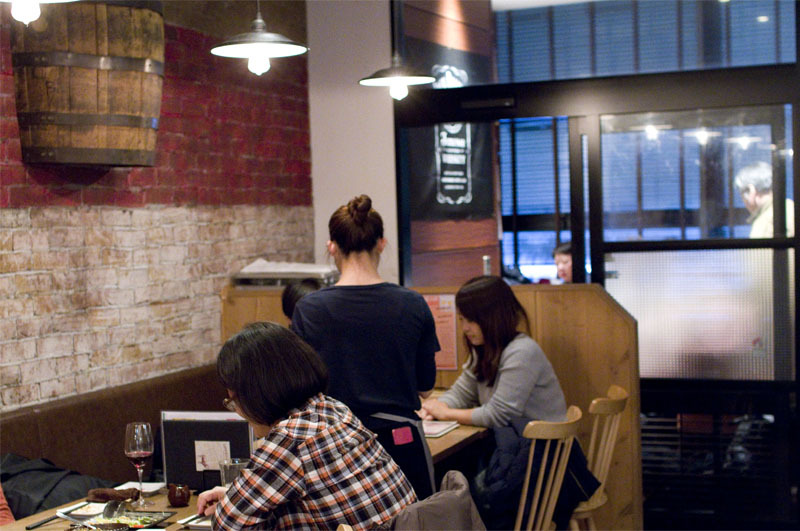 There's both counter and table seating, and smoking is permitted everywhere. Budget around Y2000-3500 for dinner with drinks, or Y1000 at lunchtime. Chiyoda-ku, Kanda Awajicho 2-105, Watteras Tower Annex 3F.